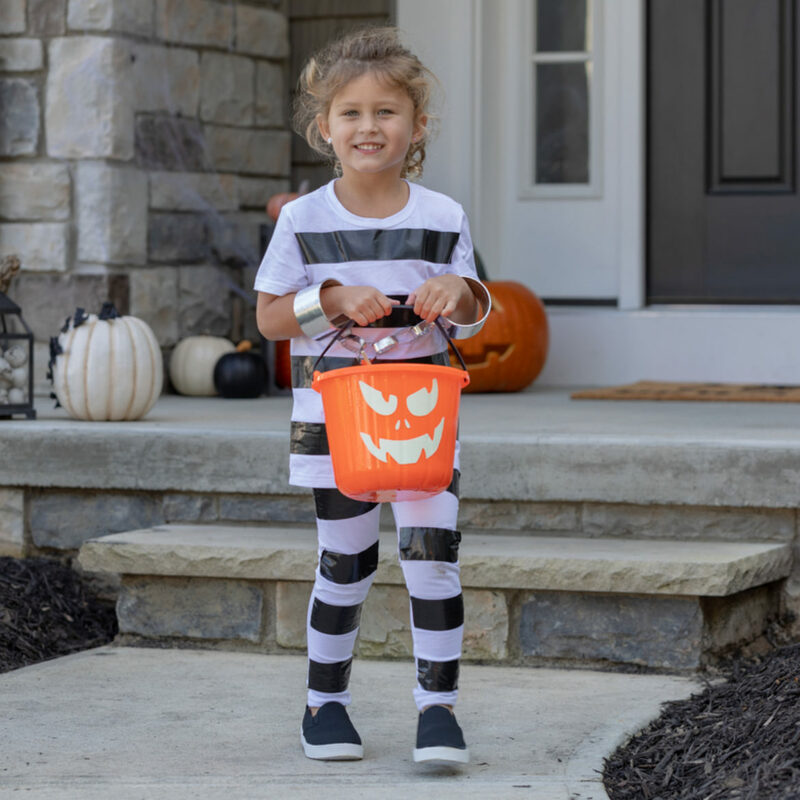 White clothes, Black Duck Tape®, and a few accessories are all you need to create a DIY prisoner costume for a homemade, easy or last-minute Halloween costume. 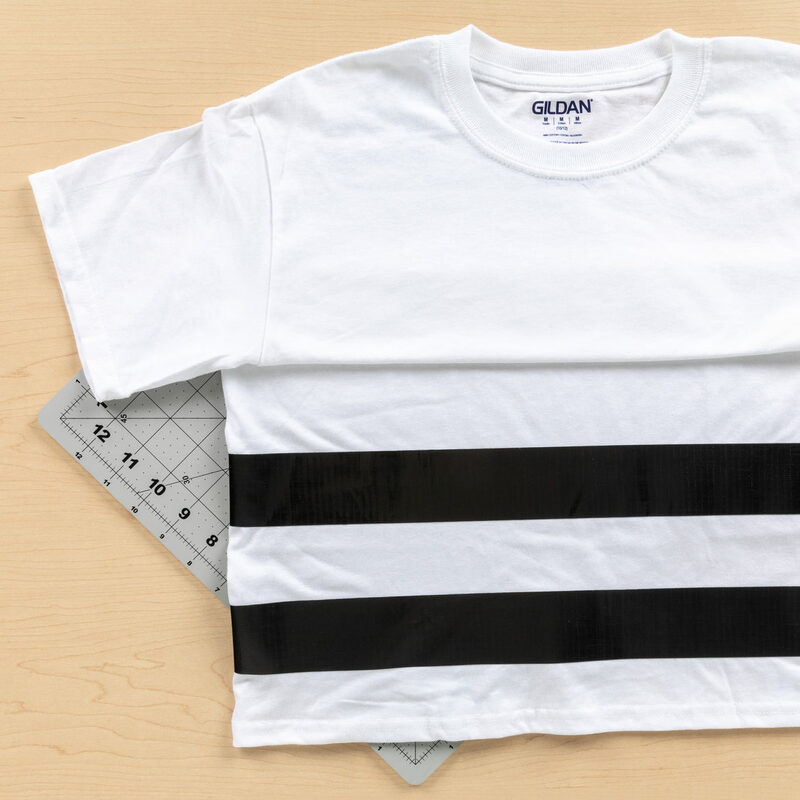 Cut strips of Black Duck Tape® to fit on the front and back of the shirt. 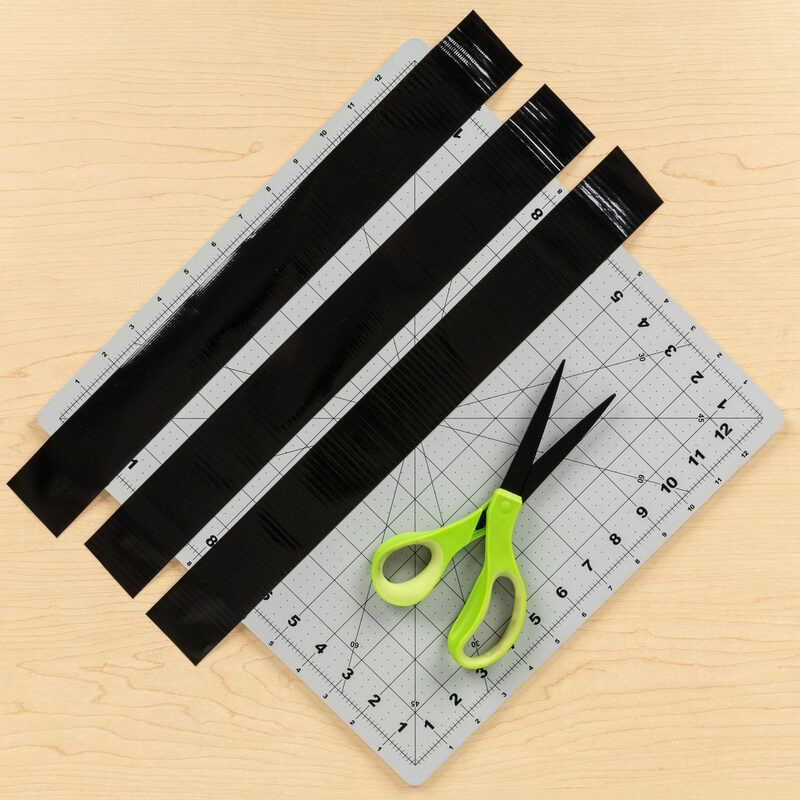 Also, cut strips of the black duct tape for the pants. 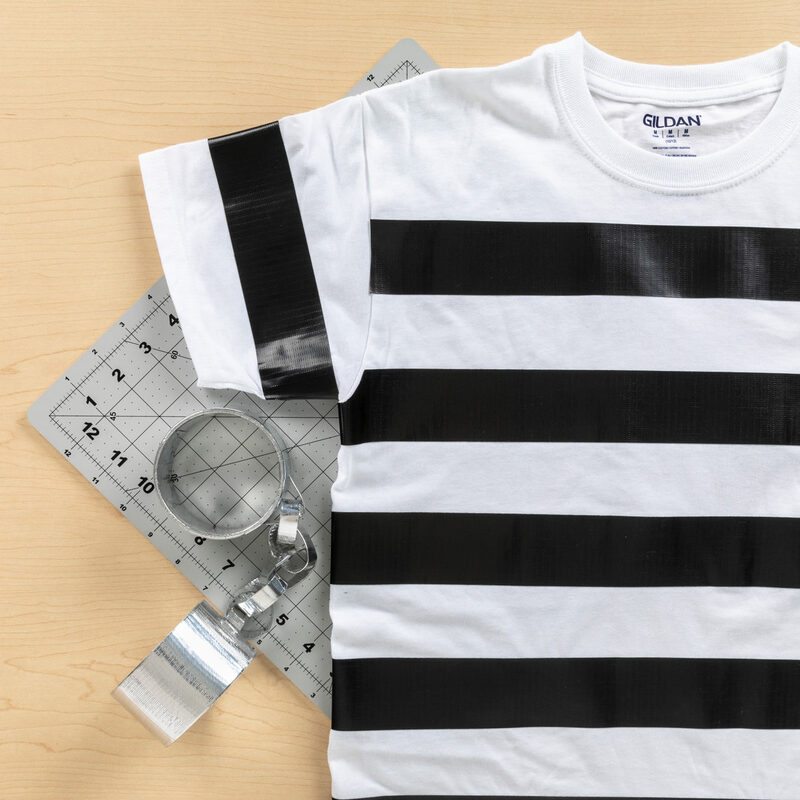 Carefully place the stripes on the shirt and pants. Create handcuff accessories using Chrome Duck Tape® and empty duct tape rolls, and you're ready to go! Create a classic game with your favorite Duck Tape®. Share the love with your favorite Duck Tape® color or print.